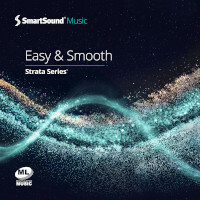 A latin driven album full of softly flowing rhythm and melody that is absolutely true to its name "easy & smooth". Electric guitar, piano, and rhythmic drums form the core of the tracks. Bossa nova and rumba are the stand-out genres to create the album's laid-back, Mediterranean atmosphere.